Abstract: Satellite altimetry and ice-penetrating radar have shown the existence of active subglacial lakes in Antarctica which may have a significant impact on the Southern Ocean and the dynamics of the overlying ice sheet. Understanding how subglacial floods affect ice dynamics is imperative to predicting the effect of ice sheets on rising sea levels, but it is not clearly understood. Furthermore, these encapsulated lakes contain uncharacterised biological ecosystems and serve as analogue environments for future extraterrestrial exploration. To investigate these subglacial environments, the authors developed the Micro Subglacial Lake Exploration Device (MSLED), a unique highly-miniaturised remotely operated vehicle. Equipped with a high-resolution imaging system, as well as conductivity, temperature and depth sensors for in situ measurements, the MSLED is capable of determining geological, hydrological and biological characteristics of subglacial lakes. It was successfully deployed in Antarctica during the 2011–2012 and 2012–2013 Antarctic summer seasons in collaboration with the Whillans Ice Stream Subglacial Access Research Drilling (WISSARD) expedition to Subglacial Lake Whillans (SLW), contributing to the discovery of microbial ecosystems within these environments. The present paper outlines the scientific background behind the mission, the design and implementation of the MSLED, as well as the results of tests and initial deployments in Antarctica. K Abid, G Spagnoli, C Teodoriu and G FalconeAbstract: In the subset of unconventional natural gases, shale gas, tight gas and coal bed methane are now being produced to some extent, whereas the biggest part of the unconventional resource is made up of gas hydrates which are still in the exploratory phase of development. It is recognised that the resource potential of gas hydrates existing in the Earth is twice the amount of the combined remaining resources of other fossil fuels (i.e. coal, oil and natural gas). So far, hydrates have been recovered using pressure coring carried out by vessels using conventional drilling methods. Original attempts to recover hydrates were based on upgrading underwater drill rigs with autoclaves. The present paper reviews the importance of pressure coring systems with the objective of assisting researchers and engineers in the development of technologies that will support the exploration of gas hydrates and to consider underwater drill rigs as novel drilling tools. X Cao, D Zhu and SX YangAbstract: One of the challenges for underwater target searching by multi-autonomous underwater vehicles (AUVs) is ocean currents. During the search process different types of ocean currents may impose a negative effect which lengthens search paths and causes more energy consumption. In order to solve this problem, the proposed algorithm in the present paper combines the potential field-based particle swarm optimization (PPSO) and velocity synthesis algorithms. The goal is to control a team of AUVs to search for a target, while guaranteeing that each AUV’s motion can offset the impact of ocean currents. Firstly, the fitness function of particle swarm optimization (PSO) was determined by the potential function of the workspace; then, PPSO planned the reasonable paths iteratively; and lastly, the velocity synthesis algorithm kept the AUVs on their planned tracks to offset the influence of ocean currents by adjusting the AUV movement directions. Through simulation studies it was shown that the proposed algorithm is capable of offsetting constant as well as variable ocean currents with higher work efficiency and less energy consumption. Abstract: An interface refers to any logical or physical relationship required to integrate the boundaries between subsystems or between subsystems and their environment. 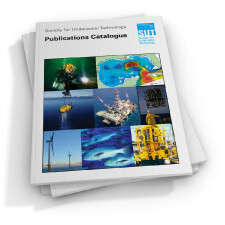 The present paper combines a systems engineering (SE) approach and design structure matrix (DSM) for the interface management of the subsea production systems in the design, fabrication and installation phase. Strategies needed to manage interfaces between various subsystems and their execution and integration with the operational environment are discussed. It is suggested that a better way to keep a record of interfaces is by using a DSM, which is an N × N square matrix representing relationships between the system’s components. In this matrix, N is the number of components of the system. This matrix, which is constructed in a spreadsheet, provides a systematic approach to visualise, recognise, define, tabulate, store and analyse interfaces. The method is illustrated using a typical subsea production system. This approach also allows the identification of change propagation paths. Abstract: This paper presents the main discussion during, and findings from, a symposium of the same title held in St Andrews, Scotland, in October 2014. Overall, there is good understanding of flexibles but a number of opportunities for improvement are identified. This paper presents a schematic of the road map developed by the delegates for improvement of methods, practices and tools to enhance the validation of flexible pipes and risers. Will the offshore oil and gas industry ever learn to better cope in a fluctuating market? Abstract: The average shape of large waves in the open ocean made up of linear waves with random phase is given by ‘NewWave’ defined by the auto-correlation function of the wave spectrum. In this paper, we confirm this result for realistic directionally spread sea-states but show that there is a considerable variation in shape of rogue waves. Practical implications are discussed. 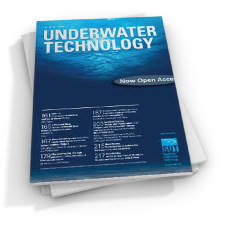 Abstract: The control of unmanned underwater vehicles (UUVs) is challenging due to the non-linear and time-varying nature of the hydrodynamic forces from the surrounding fluid. In addition, the presence of external disturbances makes the control even more difficult. Model reference adaptive control (MRAC) is an adaptive control technique that performs well in such situations, while the improved composite/combined model reference adaptive control (CMRAC) is capable of better transient performance. However, the latter is yet to be used in UUV controls. Thus, this paper tests the suitability of CMRAC in UUV applications using validated simulation models and compares its performance against the standard MRAC. Several test scenarios have been considered including initial operation, external disturbance and thruster failure. Simulation results show that CMRAC offers better tracking, faster disturbance rejection and quick recovery from thruster failure compared to MRAC. In addition, CMRAC is more robust against parameter uncertainties and thus the control signal shows fewer oscillations, which in turn reduces the probability of actuator damage. Abstract: This case study describes the formal process of identification of threats and associated risk assessment, and also presents the key activities required for maintaining the integrity of the gas export manifold (GEM) during its operational life. This manifold regulates and, if necessary, shuts down flow into the subsea gas export line and, being a safety critical element, requires an operational integrity management plan. The integrity management plan is designed to minimise, to as low as reasonably practicable (ALARP), the medium and high level risks in terms of safety, environment, equipment reliability and loss of production by means of a planned programme of monitoring, testing, inspections and, if necessary, intervention. Some of the key activities identified and discussed in this case study include; inspection (planned/opportunistic, general and specific visual and cathodic protection (CP) surveys); proof testing of the safety instrumented systems, which is a safety critical element (for different failure configurations); hydrate mitigation (increased monitoring of sensor readings during hydrostatic testing, start up, process upsets and emergency shut-down situations); inspection of bends downstream of choke valves for erosion wastage and key performance indicators for life of field assessment of integrity performance. Abstract: This paper describes a novel technique developed and demonstrated in an Indian tsunami buoy, for real-time data transmission from a moored surface buoy, using Indian National Satellite (INSAT) system and Inmarsat telemetry. Based on the identified safety reliability (SR) performances, the highly reliable Inmarsat telemetry link is configured to transmit the water level data during the tsunami mode. The INSAT telemetry with an SR of Safety Integrity Level 1 (SIL1) is configured for transmitting normal mode data and to maintain the SR of the Inmarsat telemetry link. To comply with the required SR performance, the buoy located Inmarsat transmitter is powered every 1hr to get the buoy position, and once in every 24hrs it sends the data to check the overall link in SIL4. Their proof test intervals are set at 1hr and 24hrs respectively. The response of the cost-effective hybrid system to a seismic event in 2014 gives the confidence on the hybrid telemetry system’s reliable support to the Indian tsunami buoy system. 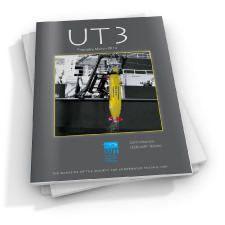 Abstract: A reliable mooring is the key requirement for offshore buoys involved in meteorological and tsunami monitoring missions. Mooring failure can lead to a loss of time-critical data which could have a serious impact on societal protection while, in addition, resulting in costly repair and reinstallation. Based on mooring component failures reported by the offshore industry, a structural reliability analysis was carried out on the mooring architecture for the instrumented data buoys used for maintaining Indian Seas. The results are compared with the field failure data obtained from annually-maintained operational moorings of the National Institute of Ocean Technology which have a cumulative in-place mooring duration of approximately 0.76 million hours over a five-year period. The estimated mean time between failure (MTBF) was between 6.3 and 11.1 years, against the achieved field performance of 6.1 years with an average annual mooring availability of 99.7% with a seven-day mean time to repair (MTTR) period. The operating mooring integrity monitoring and corrective action system with a monitoring interval of three hours ensures that the moorings meet the required International Electrotechnical Commission (IEC) 61508 IL4 standards. The efforts undertaken in improving the mooring reliability and availability, based on lessons learnt from field failures and to meet Det Norske Veritas (DNV) position mooring standards, are also detailed. The analysis gives confidence on the reliability of the mooring system support for India’s ocean observation programme. Abstract: This paper describes the use of ternary plots to graphically depict all diving gases comprising oxygen, helium and/or nitrogen such as nitrox, heliox and trimix. After an explanation on the interpretation of these charts, examples of their use for indicating different categories of breathing mixes and blending gases, and for determining the best mix for a particular depth are given. Commander Crabb: What Really Happened? Abstract: Our aim is to improve the analysis of the force dynamics common to experimental investigations of oscillatory locomotion in underwater research. This paper proposes a new method for instationary force error modelling and correction, calibrating on a passive body at laboratory scale. The calibration function is applied to instantaneous force estimates during undulatory swimming under turbulent flow conditions. The main advantage of this method is automated phase shift correction. This study uses a force plate to directly obtain the instantaneous streamwise and lateral forces on a passive and actuated fish robot under turbulent flow conditions. Force estimates are simultaneously obtained using the momentum deficit method, coupled for the passive case using a linear transfer function. The resulting instantaneous error model is evaluated in three turbulent flow experiments, during which the robot is actuated to mimic a swimming fish. Mean, median and modulo general linear transfer functions are evaluated to determine the best performing general function. Actuated instantaneous force estimate errors are reduced by 64%–93% in the streamwise and 75%–91% in the transverse directions. It was found that all three transfer functions had similar performance, considering the instationary force estimates during actuation. The modulo function performed best for the passive case. Abstract: Lithium batteries power an increasing range of devices subsea in defence, industrial and scientific applications. Future installations will require batteries with greater energy and power capacity, of lower weight for use in underwater vehicles, at lower cost and with less risk of catastrophic failure. With these goals in mind, developments in lithium-ion and lithium metal secondary cells are reviewed. For lithium-ion, the state of the art in commercial cells and areas of promising research for the cells’ components – namely the anode, cathode, electrolyte and separator – are assessed for future improvements in performance and safety. New cathodes are most likely to provide incremental performance gains for lithium-ion cells. Heat-resisting or early-warning separators and novel electrolytes are set to reduce the likelihood and consequence of thermal runaway. Recent advances with ion-conducing surface coatings for lithium metal anodes are leading to practical high-capacity lithium sulphur secondary cells with good, and improving, cycle life. Aspects of these cells’ operating principles, including the polysulphide shuttle and high flashpoint electrolytes, contribute to cell safety. Further developments in acceptance testing and online monitoring of lithium batteries can also lead to greater safety. Abstract: Underwater magnetic particle inspection (MPI) was a common non-destructive testing (NDT) method in the early days of North Sea oil and gas development (in the 1970s/early 1980s). It was primarily used to find cracks in nodal welds on offshore structures. 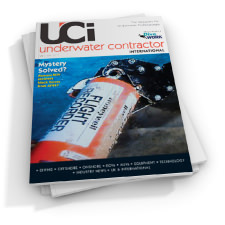 Underwater MPI was carried out using fluorescent inks, which were visible under ultraviolet (UV) light and had to be carried out in the hours of darkness. This led to lengthy and costly inspection programmes, as the inspection work was generally done during the summer months, with perhaps only 4 h of darkness in the northern North Sea. The use of underwater MPI declined from the late 1980s for about 25 years but is now making a comeback. As offshore structures age and exceed their original design lives, the spectre of fatigue cracks has led to the need for detailed node weld inspection. During the last 25 years, MPI inks have changed. Although they conform to the relevant international standards, these standards are for topsides use and thus not necessarily applicable to underwater conditions. Abstract: This is part one of a two-part paper on the economic valuation of spatially and temporally distributed marginal subsea fields. Risks in subsea marginal field development arise from many sources, including the state of technology, oil and gas price, site condition, fiscal policy and regulations. Economic evaluation provides a valuable insight in how to improve the viability of a marginal field. Part I discusses the traditional methods of valuation, and then describes how the real option (RO) valuation can be applied for the valuation of scattered subsea reservoirs. None of the fields are large enough to justify the capital investment for individual exploitation. In Part II, these methods are applied to a case study and the relative merits of methods are discussed. It is argued that RO valuation enables the determinants of successful development to be identified. Abstract: Risks in developing of subsea marginal fields arise from many sources, including state of knowledge, site, regulations and fiscal policy. Part I of this two-part paper (Yasseri, 2016) described three primary valuation methods, i.e. discounted cash flow, decision tree and real option, that can be utilised to examine risks and success factors so that the determinants of successful developments can be identified and reinforced. This paper (Part II) applies those three valuation methods to the scattered subsea field example described in Part I. This paper compares and contrasts these valuation methods, and highlights their relative merits as a decision-making support tool. Abstract: In this paper, the performance of an inclined propeller in both non-cavitating and cavitating conditions was investigated using a finite volume based solver. The results were compared with the experiments conducted at the Potsdam Model Basin (Germany) (Barkmann et al., 2011; Kinnas et al., 2015). The propeller in the experiments was operating in an inhomogeneous flow and, therefore, the characteristics were deeply influenced by the inclination angle. Therefore, the present work includes both design and off-design conditions and simulations in a pull configuration. The sliding mesh technique was used to implement the rotations in the unsteady Reynoldsaveraged Navier–Stokes (URANS) solver, with the renormalisation group (RNG) k- e turbulent model. The effects of models for acoustics and cavitation phenomena were of particular interest and, therefore, multiphase mixture model was used as a cavitation model in which Rayleigh-Plesset equation describes the growth of a single vapour bubble in a liquid. Also, the Ffowcs–Williams and Hawkings (FWH) and direct methods were compared by predicting pressure pulses at receiver locations. The analysis involved visual observation of the cavitation pattern, in that there was a good agreement between the numerical predictions and the experimental data. The pressure fluctuations at different locations were also compared with the experimental data for both cavitating and non-cavitating cases. In the non-cavitating case, the amplitudes of the pressure fluctuations were in agreement with the experimental data, but those of pressure pulses in the cavitating condition were underpredicted. The spectral analysis of calculations also revealed the weak third harmonic observed in the experiments. The FWH approach produced good results in the spectrum of rotating propeller and, therefore, instead of the direct method, the FWH approach is recommended in such complicated cases as pressure pulse and cavitation. However, more advanced method is required to extend the work for better representation of bubble dynamics. Abstract: Systems readiness level (SRL) is a metric for assessing progress in developing major subsea systems. SRL methodology builds on technology readiness levels (TRLs), developed by American Petroleum Institute (API) 17N to assess the readiness of subsea components for insertion. To estimate the level of readiness of a system comprising multiple components in their current state, SRL combines the TRL of each component with another metric called the integration readiness level (IRL). This metric expresses the readiness of each of these components to be integrated with other components of the system. An averaging approach is then used to estimate an overall level of systems readiness level if these components were to be used. This paper presents a distillation of experience gained in applying the readiness metrics to subsea systems by the author and others. The methodology for determining the progress of a typical subsea system development, using TRL, IRL and SRL metrics is illustrated using a typical subsea system. Abstract: With increasing public awareness on climate change issues and increasing pressure on governments to expand renewable energy programmes, the time appears optimum for the development of new marine renewable energy technologies and programmes. Carnegie Wave Energy is an Australian Securities Exchange (ASX) listed company that has developed and patented the CETO wave energy technology over the last 10 years. This technology is designed to convert the oscillating motion of ocean waves into zero-emission renewable power. The CETO technology has the added advantage of producing desalinated freshwater as a byproduct, making this a truly green energy technology. Marine GeoSolutions was contracted by Carnegie WaveEnergy to undertake a geophysical site investigation of potential deployment sites offshore of Garden Island for the installation of the planned CETO six power generation arrays and the cable route that would connect the arrays to the hinterland. While the geophysical site investigation employed standard off the shelf (OTC) survey technology to achieve these objectives, the purpose of this paper is to demonstrate how important renewable energy projects can benefit from the careful and skilful application of hydrographic and geophysical survey technologies. The geophysical survey programme included the simultaneous acquisition of multibeam bathymetry, sidescan sonar, magnetic profiling and sub-bottom profiling data. The true benefit of the geophysical survey, however, was achieved through the application of careful and meticulous data processing techniques by a small group of dedicated individuals to produce a set of high resolution survey products. This was achieved by careful combination and rendering of all the datasets to arrive at a comprehensive 3D geographic information system (GIS) data model that provides valuable insights into the physical environment in the areas of interest. Abstract: The Teredo worm is a bivalve mollusc that is well known for its destructive activity caused by boring into woods underwater. It can also damage subsea cables and many cable designs incorporate anti-Teredo protection. The Teredo worm is an alien species to many marine environments, but its distribution is increasing. It is, therefore, possible that subsea umbilical failures, specifi cally in relation to power and/or communication transmission in the oil and gas industry, that have previously been fully or partially attributed to Teredo activity, may increase in the future. 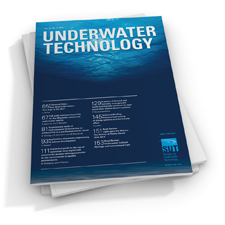 This paper reviews some methods of detecting impending Teredo-related umbilical failure and makes recommendations for future subsea umbilical design.